BonTon Style | virtual runway: Last-Minute Gift Picks! 1. Reclaim your phone or tablet and gift the kids with tech gifts from Disney. 2. Cake pops are trending right now. 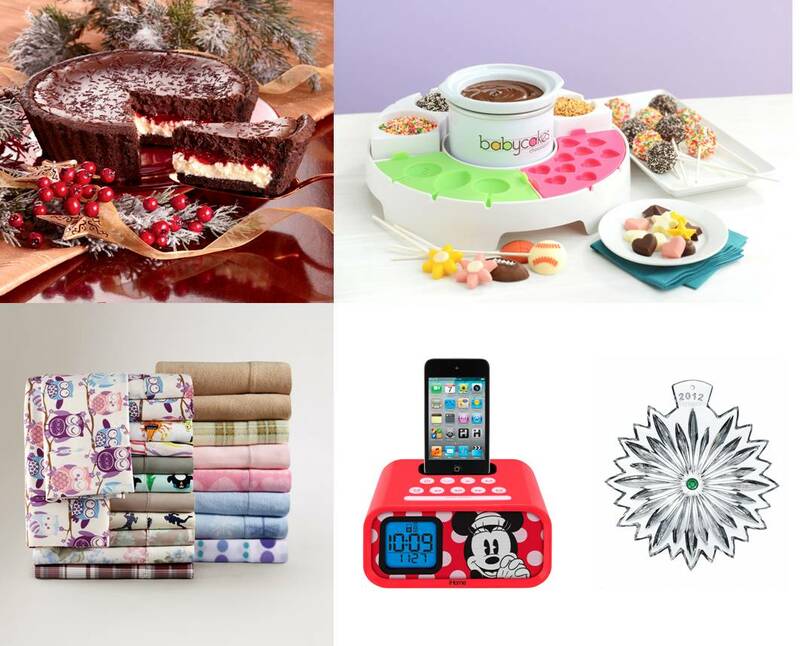 Give Babycakes recipe books, cake mixes, small appliances & more. 3. Tasteful additions to the Christmas tree are always appreciated. Give Waterford Crystal collectable ornaments. 4. Who doesn't appreciate cozy flannel & fleece sheet sets? 5. When all else fails, give food! Try our selection of gourmet foods & gifts.